It was a very cold morning as I walked the few blocks from my apartment to Eataly in New York City. 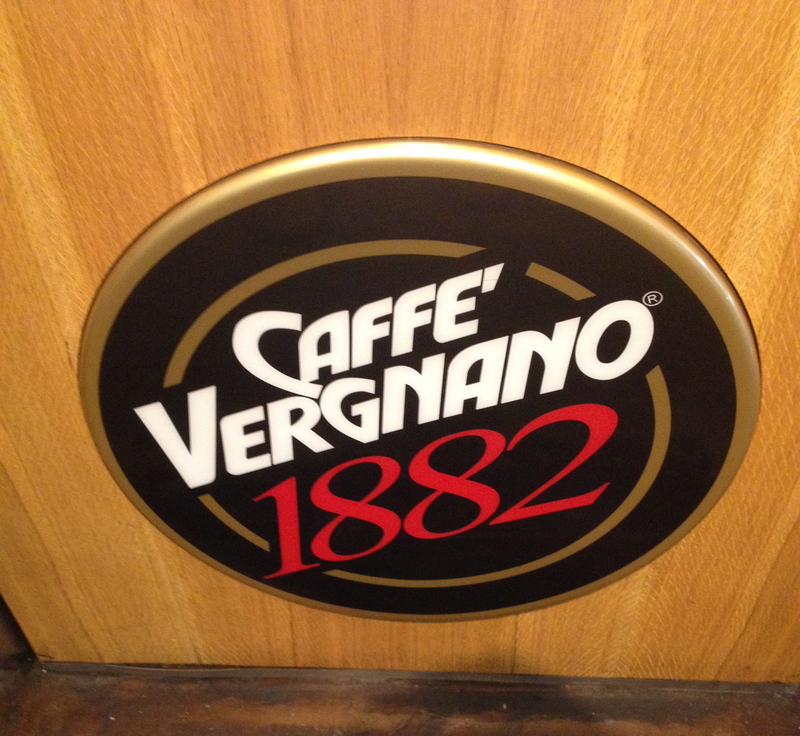 I was headed to a demonstration, seminar and tasting of the coffee from the Italian producer Vergnano 1882 and I was looking forward to a hot cappuccino and a caffè. My first cup was a cappuccino, which was picture perfect and just the right temperature. It tasted so good that I asked to meet the barista. Carolina Vergnano, the export manger introduced me. By his accent I knew he was not from around here, or from Italy. His name is Damian Burgess and he is from New Zealand. 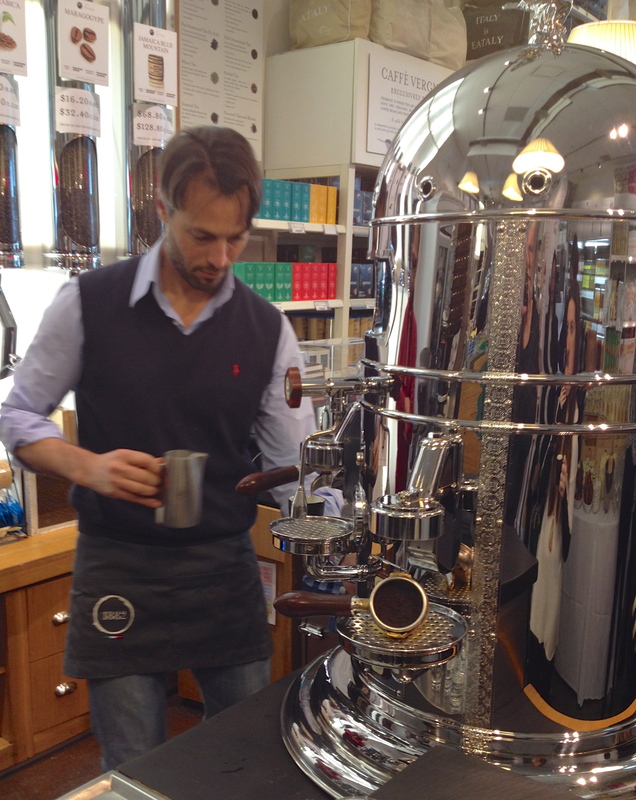 Damian is also the head of the Caffe Vergnano Coffee Academy and the senior training manger. Carolina told me that Vergnano is a family-owned Piedmontese coffee company that began in a grocery store in the small town of Chieri not far from Turin. It is the oldest coffee company in Italy, over 130 years old. They make the capsules for the Nespresso machine and Caroline pointed out that making the capsule is like creating another business. 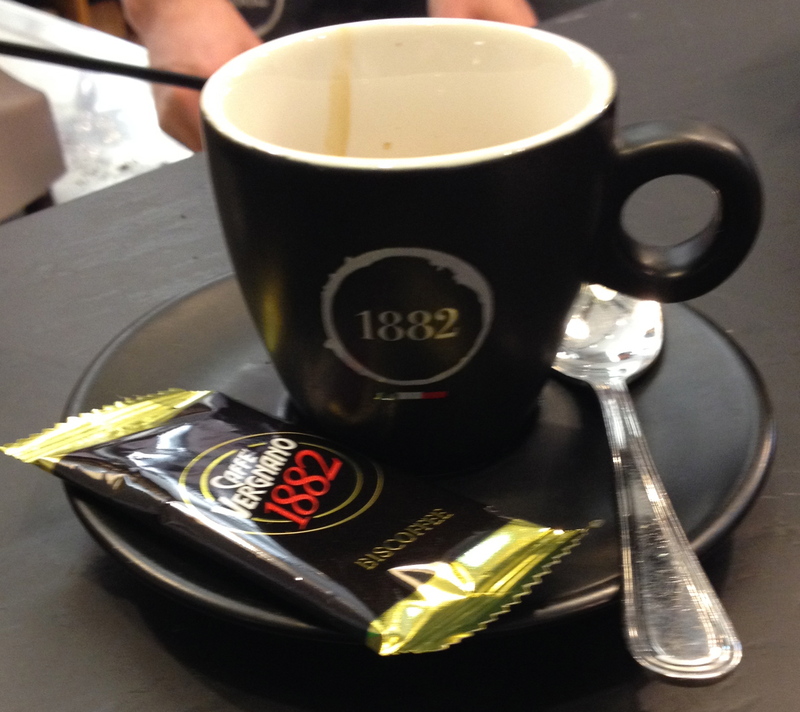 In 2000, they started a chain of coffee shops called 1882 and they are now in 75 locations world wide. I was in the one in Alba a few times and the caffè was excellent. 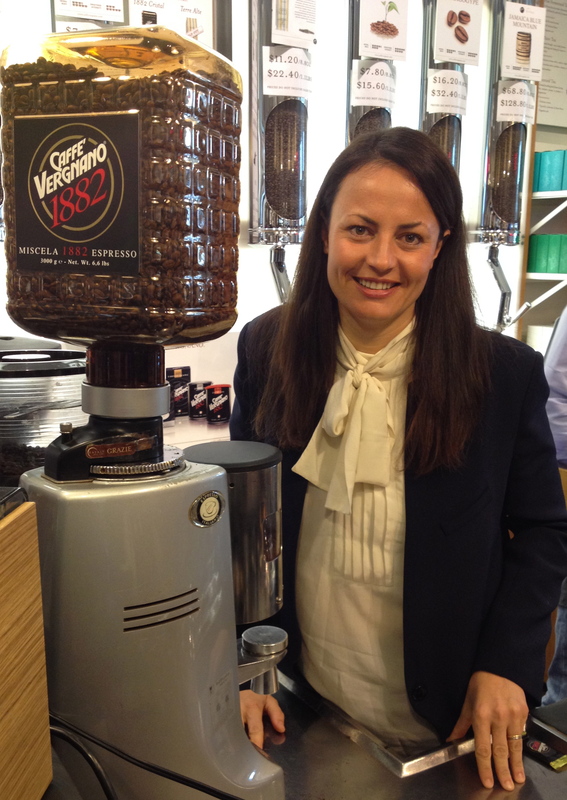 Caroline said that their coffee is the perfect blend of tradition and innovation. The superior quality of the blend comes from the meticulous selection of the best raw material available and the extraordinary production process. She stressed the point that roasting is the most important step in coffee production. The different coffee varieties are roasted separately, type-by-type, so that just the right level of roasting can be achieved. They use a slow roasting system with cycles that last between 18 and 22 minutes. For each new cycle, the roasting of each batch is individually controlled, to guarantee a uniform quality product roasted for the correct amount of time. 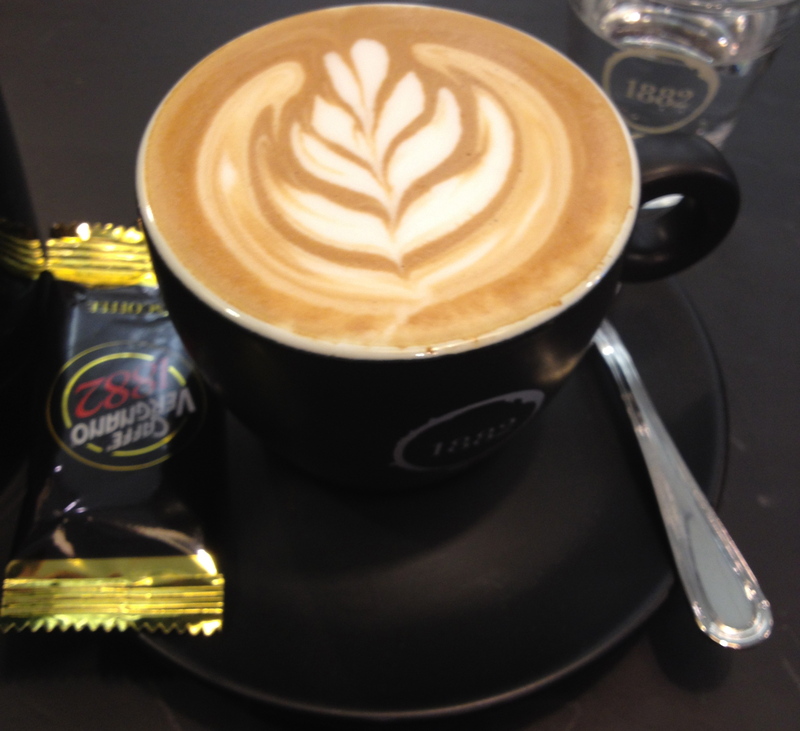 Damian is very knowledgeable about coffee and when he spoke you could tell he is passionate about it. He told me about the different blends of coffee and how different blends are used in different places because of local preferences. For example, a lighter blend would be used in Turin while a darker blend would be used in Naples. He said the most difficult coffee to make is caffè. This is because there is no room for mistakes. With a cappuccino you can cover a mistake with the milk. In order to make caffè you must start with the best coffee, the machine must be at the right temperature, the grinder for the beans must be set according to the humidity, the barista must use the right amount of coffee, with the right amount of pressure, and it can not be over- or under- extracted. Last but not least is the barista, the hand that makes the coffee is important. But it is all worth the effort!